TUNEPRO forming higher high & higher low. Immediate support @ RM1.57 level. 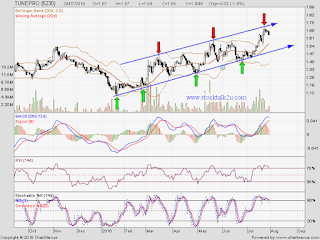 Subsequent resistance @ RM1.75 level . If you like this post, sponsor us a cup of Mocha Latte. 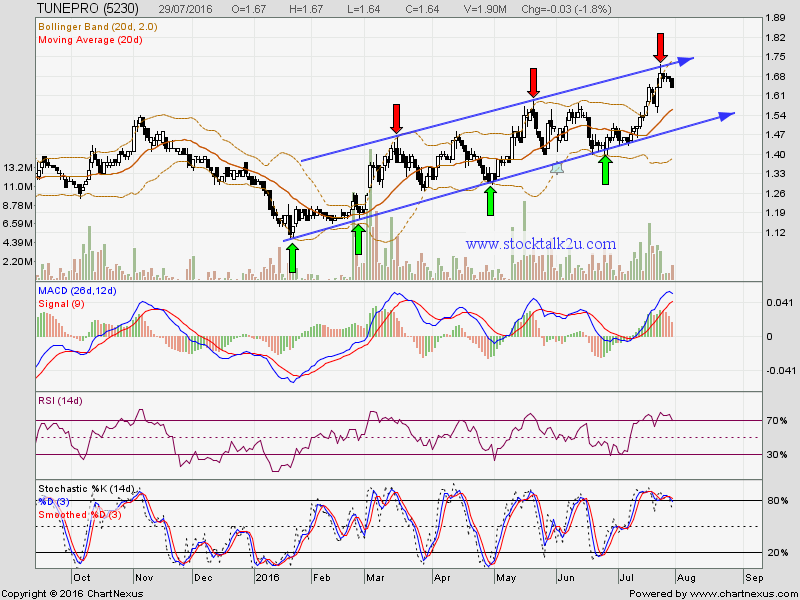 TunePro is likely to go higher if market sentiment is ok. It is benefiting from AirAsia and AAX with more flight coming up and lower fuel cost. Like SIA, profit increase due to similar reason.